Music Durham is a forum for Durham's musicians. We ensure unity amongst the many ensembles at the university and promote music making around the city. We seek the highest standards in student performance and experience by bringing the best professional musicians to the university to guide our students, whilst maintaining a commitment to student leadership. We recognise the benefit of music and performances to listeners and performers alike, and as a result run a strong outreach programme and community relations. Music Durham is proud to promote individual involvement in music at all levels and standards, allowing for a well-rounded university experience for all of our members. We remain committed to providing all our musicians with the very best facilities, equipment and coaching through our Masterclass Series. 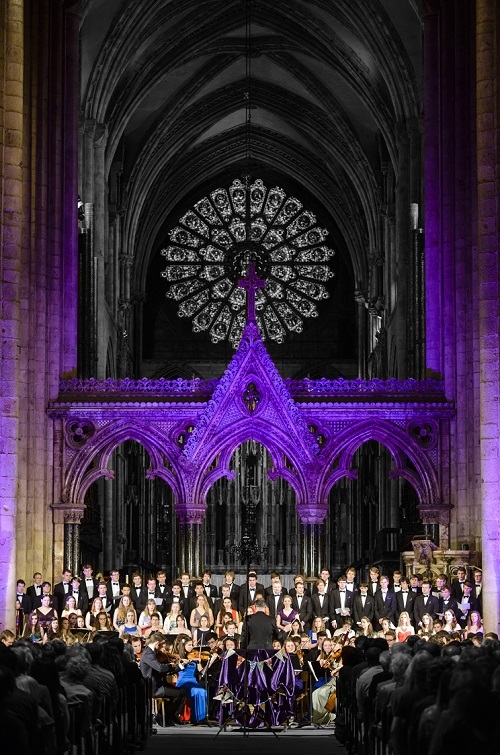 If you would like to support your old ensemble through Music Durham you can donate. Any money raised will go towards masterclasses, scholarships, the creation of new practice facilities, instruments and similar causes. Some companies offer a match giving scheme, where employers are willing to match the amount you donate from your salary. Please do check if your company offers this as it is a huge help and ultimately doubles your donation. We appreciate any assistance you can give up to support future generations of great musicians. To donate to Music, or more specifically to the Orchestral Society, Palatinate Orchestra or Chamber choir please use the form below.